If you’re all about fresh, new NBA looks, then Christmas has come early. Literally. Although the schedule for the 2015-16 season has yet to be released, everyone knows that the designs for the gear used on December 25 are crafted well in advance. While the league has yet to officially unveil those uniforms, Paul Lukas at Uni Watch was provided an exclusive look, and he was generous enough to share with the rest of us. And we have to say, we dig the direction. What makes these uniforms really work is the simplicity of the design. Each team’s gear has its own specific elements that stay true to the organization, but the league still manages to convey the same theme in every piece of clothing. Next season’s Christmas uniforms will be all about the vintage-style, and we’re excited to see how they look come game time. Of course, not every team gets the opportunity to play on December 25. But as we pointed out, there us no schedule yet for next year. 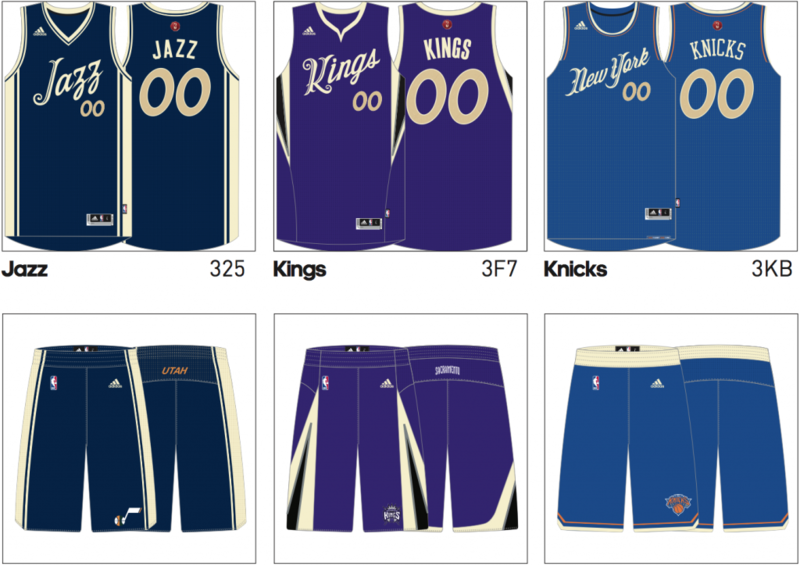 As a result, most of the clubs will get a uniform design regardless of whether or not they end up taking the floor. Still, even with the designs of each top maintaining a similar trend, some teams have gear that look especially awesome. 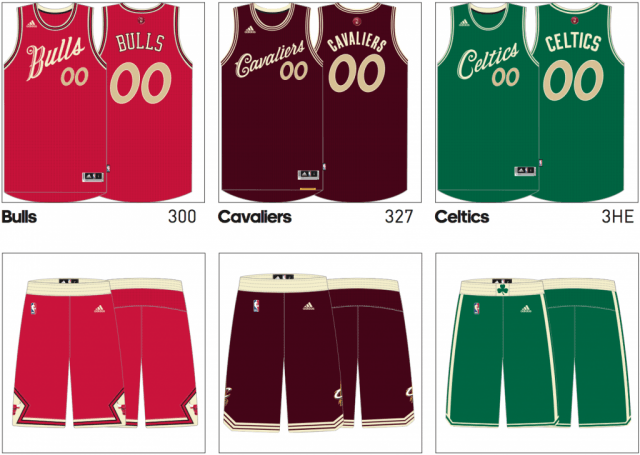 With that in mind, here are the 5 NBA teams with perfect Christmas day jerseys. We like that these Chicago Bulls uniforms aren’t using a red that’s too overpowering. The cream-based script lettering looks great against this backdrop. On top of that, there is great subtlety on the neckline and sleeveless sections. We think the black outlines surrounding the thicker red line does a nice job of maintaining a connection to the current Bulls getups. Going with the bold maroon Cleveland Cavaliers uniform, is a smart play. Don’t get us wrong, sometimes we do enjoy the yellow look. However, more often than not, we find it to be a bit of an eyesore. The beautifully crafted NBA logos will pop against this dark shade. Besides, you should probably get used to these uniforms. After all, does anyone really believe the league won’t be having LeBron James play on December 25? Yeah, we didn’t think so. A classic look for a classic team. The Boston Celtics can rebuild all they want, but there’s still something extremely vintage and retro about this organization. These simplistic designs, with the subdued green, are a perfect fit for the franchise. We’re huge fans of the cream stripe going down the side of the shorts, and we never have a problem seeing that clover. The only thing that’s missing here, is an old-school Larry Legend and that sweet, sweet jumper. Unfortunately, the Boston faithful aren’t that lucky. 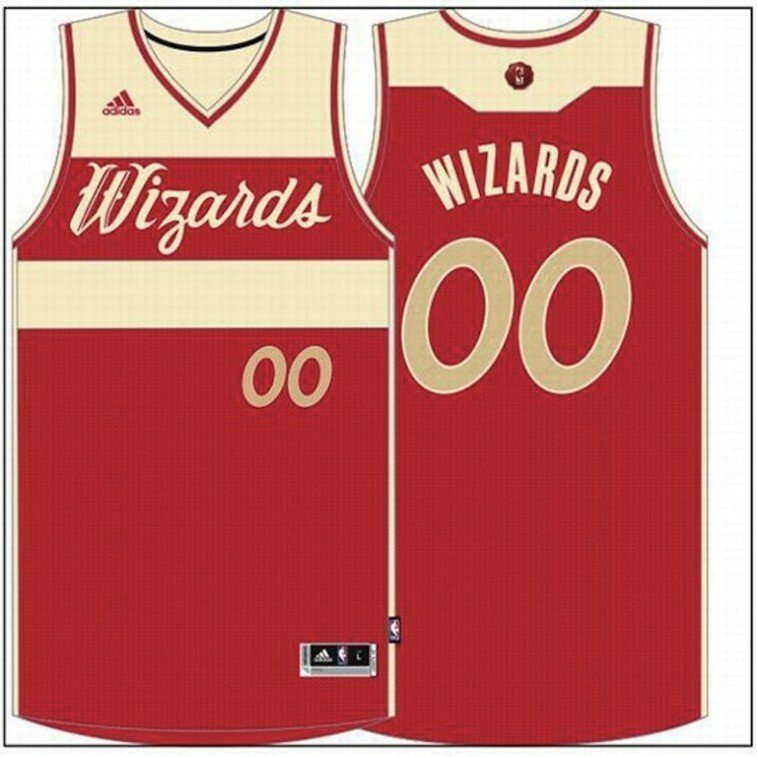 These Washington Wizards jerseys are bold in all the right ways. The cream calligraphy, going straight across the chest as opposed to being diagonal, really works against the thick red stripe. Then again, these tops get bonus points, as well, for staying true to the “two-tone” stripe look. However, our favorite parts about this design have to be the use of v-neck and the beautiful line work across the top of the back. Santa may bring the gifts, but in this gear, John Wall would be bringing the buckets. This Portland Trail Blazers top stands out for so many reasons. Again, we love how the lettering goes straight across the chest, but it’s a nice touch to use “red” for the words and numbering. 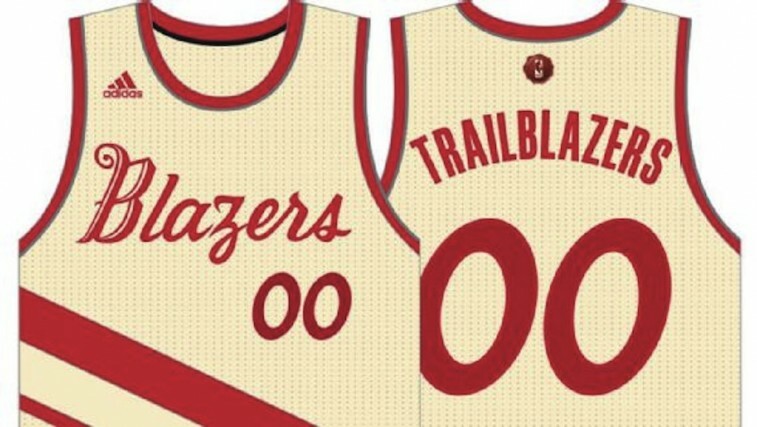 It’s a great way to stay true to the Blazers, while still managing to maintain the vintage-like intention. If you look closely at the neckline and sleeveless sections, you can also see traces of a gray outline — this may be a simple touch, but it’s still a beautiful addition. However, you can’t discuss this jersey without highlighting the awesome diagonal stripes. These markings take the top to an entirely different level — in a good way. The only thing that would make this jersey better, is if LaMarcus Aldridge was there to sport it next season. That, unlike the early peek at these uniforms, is something we’ll be forced to wait and see. To see the rest of the designs for next season’s NBA Christmas jerseys, check them out at Uni Watch.